“If you're looking for an experienced and conscientious chiropractor, I'd like to make myself available to you as a resource. I’m Dr. Adam Tanase, and my commitment to you is providing what every patient deserves: The choice and control you want, the affordability you need, and the quality you deserve. Over the past 15 years, I’ve cultivated a meaningful and measurable track record of success helping chiropractic patients overcome headaches, back pain, neck stiffness, and TMJ discomfort. 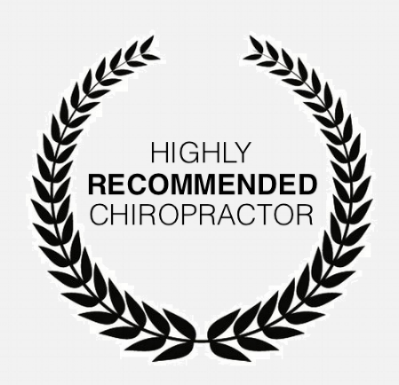 As a result, my Webster Groves chiropractic office has grown exclusively by referrals from satisfied patients and medical physicians who recognize and appreciate my fact-based methods. From now through April 12th, new patients are eligible to receive $50 off when they schedule their appointment online. Click here or fill out the appointment request form below to get started. We will respond to your request via email. Please indicate if you'd prefer to speak with Dr. Tanase by phone. Thank you! We’ll get in touch with you promptly to reserve your appointment. We've had tremendous success helping headache sufferers achieve long-lasting results. Whether you're dealing with frequent tension headaches, migraines, sinus pressure, or pain at the base of the skull, our Upper Cervical procedure elicits effective pain relief when other methods fail. A number of our tinnitus patients' symptoms have improved following spinal corrections. While not every type of “ear ringing” has an origin in the neck, this painless procedure shows promise, and is worth looking into. In some cases, an imbalance between the head and neck (attributable to a misalignment of the atlas vertebra) can induce symptoms of vertigo. If you feel shaky or unsteady, and sporadically experience a spinning type sensation that's not due to more obvious reasons, I invite you to contact me for a chiropractic evaluation. The neck is a highly delicate structure that requires extreme care. Don't let anyone haphazardly manhandle the most vital part of your spine. We can help identify the exact cause of your neck pain, and then implement a safe and effective treatment plan that addresses your specific problem. People experience back pain in different ways. For some, it's just a minor inconvenience. In others, it's a completely debilitating nightmare. We want to help you avoid surgery at all cost. Using a functional movement screening and thorough chiropractic analysis, we'll help identify what's causing your back pain, and determine the most reasonable course of action. This might be simple mobility exercises or chiropractic adjustments. Other times, it requires a referral to another healthcare provider. Whatever the case may be, we'll help you get the best possible results. Irritation of the brachial plexus (a delicate bundle of nerves that begins in the neck and travels down the length of the arm) can be hard to ignore when it begins to affect work, sleep, and daily activities. Chiropractors help patients achieve lasting relief from this often agonizing condition. The role of the Trigeminal Nerve is to send impulses of touch, pain, pressure, and temperature to the brain from the face, jaw, gums, forehead, and around the eyes. According to WebMD, "the most frequent cause of trigeminal neuralgia is a blood vessel pressing on a nerve near the brainstem." Certain cases of Trigeminal Neuralgia and idiopathic facial pain have resolved following correction of an atlas misalignment. While this procedure won't work in all instances, it's worth consideration before enduring more drastic measures. Jaw pain, clicking, cheek soreness, teeth grinding, neck pain, and headaches are symptoms associated with a condition that over ten million Americans suffer from: TMJ Disorder. It’s a problem that can impact any activity involving the muscles of your face like chewing, swallowing, and yawning. Even talking or laughing can elicit pain. We offer a fast, effective, and affordable solution that has helped countless TMJ sufferers. I’m not the type of chiropractor who believes that chiropractic care can treat digestive disorders. Oddly enough, however, patients who suffer from chronic constipation, IBS, and even some cases of ulcerative colitis have reported an improvement in their symptoms while receiving spinal adjustments. The cause of these improvements hasn't been fully researched, so for now, we'll just chalk it up to one of the many added benefits of having a healthy spine and nervous system. One of the most common responses that patients tell us about after their first chiropractic adjustment is that they've been sleeping better. While there can be a number of different reasons a person experiences trouble sleeping, something can be said for the effect that an upper cervical adjustment has on the parasympathetic nervous system. We don't diagnose sleep disorders, but you just might find yourself sleeping better as a result of chiropractic care. At Chiropractic Saint Louis, we offer technologically advanced therapies and techniques to alleviate pain and support lifelong health and wellness. We translate this advanced expertise into highly effective care using some of today’s most innovative diagnostic tools, treatment therapies, and chiropractic technology. Using computer-aided spinal adjustments, rehabilitation therapies, and other personalized treatments, our methods nurture and support whole-body health and wellness. We can help you experience what’s possible when your body feels and functions at its very best. Working together, we can define a clear path forward that helps you achieve today’s goals while creating a foundation for long-term, holistic health and wellness.